Modernize is your trusted source when you are looking for replacement windows in Plano, TX. We're here to help you through all of your home improvement projects. We take pride in what we do and we want to help ease the process of getting new windows installed. Find trusted local window installers today! Get free quotes from the best window replacement contractors in Plano, TX, ready to complete your project. Chances are, the windows in your home were designed for a long life. Most windows are created to be weather resistant and durable, lasting for 15 to 25 years or more. However, at some point all windows will need to be replaced. In general, windows begin to show obvious signs that they are not performing as well as the should. You may notice the window frames have started to decay or rot, or that there is moisture trapped between the panes of the window. In some cases, the first sign a window needs replacement is that it has become difficult to open and close. Once it has become clear that it is time to replace your windows, there are a lot of decisions to make. There are a wide variety of window options to choose from, and each style of window can be customized with countless choices for materials, color finishes, and hardware. In addition to sorting through basic window buying decisions, it is important to consider how where you live should influence your purchase decision. In this guide, we will provide you with the basic information you need to select the right window for your home, including choosing appropriate windows for the climate in Plano and following the permit and licensing requirements put in place by the city’s government. No matter where you are living in the United States, there are a few basic decision you will need to make concerning your window purchases. There are a wide range of windows available, designed based on how they are meant to operate within in the home. Stationary windows such as picture or arched windows are often used alongside operational windows as a means of bringing additional natural light into the home. Operational windows, such as double hung windows or casement windows, are fully functional, opening to allow fresh air into the home. All windows can be further customized by selecting from a wide range of frame materials and finishes, hardware finishes and glass grid designs. New windows are divided into two, large categories, replacement and new construction windows. New construction windows are designed to attach directly to exposed studs or frames. Because of this, they are only appropriate for new building or major renovation projects. Replacement windows, however, are custom built for a perfect fit in the space left behind by the previous windows, and they require no construction to the surrounding wall. Since building permits and builder’s licenses are administered by each city’s government, the requirements for replacing windows is different from city to city. The city government in Plano requires permits for all major home improvements, including window replacements, and homeowners and contractors can apply for a permit through the Department of Permits. If you will be hiring someone to install replacement windows in your home, it is important to be sure you are hiring someone who has a general builder’s license and proper insurance coverage. Texas requires that all contractors making major home improvements or repairs have a general builder’s license through the Texas Department of Housing & Community Affairs. Additionally, any contractor who has hired employees is required to carry workers’ compensation insurance to cover the cost of medical expenses and missed work time if someone is injured on the job. Since all energy efficiency tax credits and rebates expired in the year 2014, it is difficult to find creative ways to fund window replacements in Plano. Most homeowners pay for their windows by saving up and paying cash, opening a zero-interest credit card, or applying for a home equity line of credit. The city of Plano has a Housing Rehabilitation Program for households that qualify based low-income guidelines. This programs offers window replacement, and other home improvement services, to homes that have become dangerous to live in or no longer meet the city’s building codes. The price of windows varies significantly based on the chosen brand, materials used for construction, and the size of the windows. Using cost estimates provided online, a loose budget can be created. In general, vinyl replacement windows cost between $400 and $600 each and wood replacement windows cost between $800 and $1000 each. The cost of installing a single window is between $50 and $100, and this expense should also be included in your budget. If you are looking for a more accurate estimate, a contractor can offer a detailed quote for the replacement of the windows in your home. 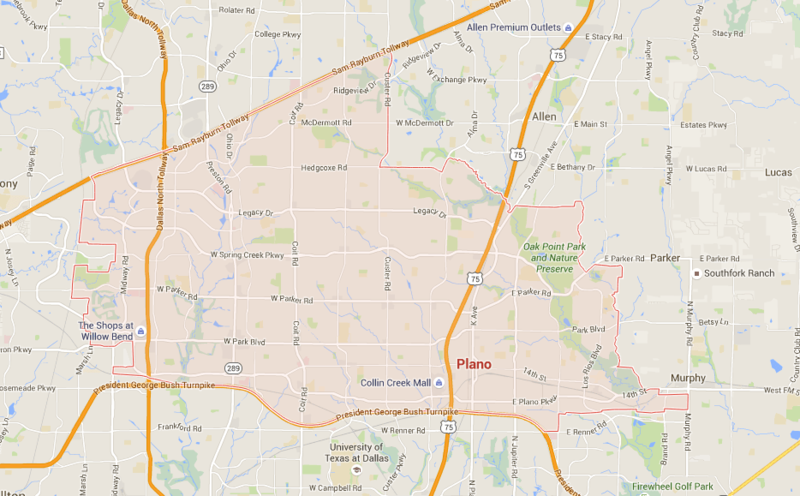 ENERGY STAR® guidelines place Plano in the South-Central Climate Zone, a region characterized by warm summers and mild winters. Homeowners living in this region can anticipate using both their heating and cooling systems throughout the year. Because of this, it is best to buy energy efficient windows that are suited for extreme temperatures on both ends of the spectrum. In order to make shopping for efficient windows as simple as possible, ENERGY STAR® requires window manufacturers to place a National Fenestration Rating Council label on all new windows. Based on the climate in Plano, there are two ratings on the NFRC label that should most heavily influence your window buying decision. The U-Factor is a rating the represents that amount of heat that can enter or leave a home through the window. ENERGY STAR® requires all new windows in Plano to have a U-Factor rating of no more than 0.30. The second important rating is the Solar Heat Gain Coefficient, a number that represents how much solar radiation can pass through a window and heat the home. Since Plano typically experiences hot summers, a low Solar Heat Gain Coefficient rating is best and ENERGY STAR® requires a rating of no more than 0.25. Since Plano experiences high humidity for much of the summer, it is also important inquire about the condensation rating of each window you are considering purchasing. This value is rated between 0 and 100, with 100 representing the very best resistance to excess moisture in the air. When you make the investment in energy efficient windows, you are investing in the overall value of your home. If you choose to sell your home in the future, you can expect an estimated 70 percent return-on-investment. In the meantime, you can also expect to see your heating and cooling bills decrease, saving you as much as $266 on your utility costs each year if your new windows comply with ENERGY STAR® guidelines.